This review is about item#35504917. Yellowish in light yellow is not so bad, but in HID and LED lights are in full bloom the yellow line is fairly good. 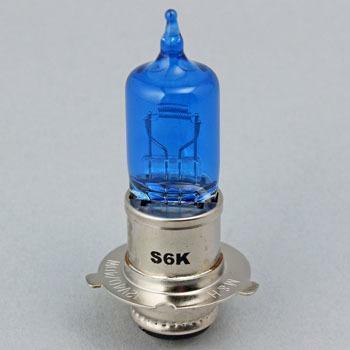 Even with its coloring bulb, the brightness is not sacrificed, so if you want to change the color slightly from genuine yellow venus or super clear is recommended. However, the road surface can be seen most in the evening clearly is B2 clear without coating. This review is about item#00267155. This review is about item#267137. This review is about item#35504926. It is brighter than the standard lamp and I am very satisfied. I also encouraged my son for mowing. Truly MH became bright. Because it is 4700 Kelvin with a blue ball, it is white and bright when I think it will become somewhat dark. Just a rainy day feels somewhat dark. The remote control jog was a special bulb with a new light bulb of 40 W and it was saved. Because it is only 30 PH PH8 if it is a mass merchandiser. This review is about item#267146. I do not see this kind in the home center etc. This review is about item#35504944. Since it is a product of M & H, it can be used with confidence. I think that it was not as bright as I thought. It is brighter than a genuine lamp, but 40W is only 40 W after all. For vehicles that can not be fitted with HIDs, if you are looking for even a little brightness, you will only have this option, so you will also buy next. But the H4 high efficiency valve is also similar. Unlike pictures, it is more yellow. The brightness is also unchanged, especially genuine. This review is about item#35504935.